In our second part of If Beale Street Could Talk interviews, I was part of a roundtable with Screenwriter/Director Barry Jenkins. In this Christmas edition of INTERVUE, I interviewed actress Kiki Layne about her new film “If Beale Street Could Talk”. In early 1970s Harlem, daughter and wife-to-be Tish vividly recalls the passion, respect and trust that have connected her and her artist fiancé Alonzo Hunt, who goes by the nickname Fonny. Friends since childhood, the devoted couple dream of a future together, but their plans are derailed when Fonny is arrested for a crime he did not commit. I sat down with Kiki during a roundtable to talk about her big-screen debut! The 37th Annual RAMMY Awards will return to the Walter E. Washington Convention Center on Sunday, June 30, 2019. Nominations for 20 categories will be accepted online from December 19, 2018 through January 31, 2019, including four categories for which the general public will select a winner. New in 2019, the awards program has amended its awards policies and procedures which guide judging criteria in each category, kicking off a full six months of programs and promotions celebrating the region’s outstanding restaurants and the people who power them. In announcing the 2019 RAMMYS, RAMW, in collaboration with the RAMMYS judging panel and the RAMW Executive Committee, have released new criteria, standards, and operational procedures for the judges to follow in selecting finalists and winners for the 2019 program. These changes focus on an overall emphasis on the importance of integrity and fostering a positive work environment, and asks judges to look at the totality of what they know about the individuals and businesses being considered as award finalists. The revisions include changes to leadership categories such as Restaurateur of the Year adding criteria that speaks to diversity and inclusion, ethical conduct, facilitating positive workplace culture, and demonstrating that they are leaders who are vested in the communities and neighborhoods where they do business. Criteria are updated in individual categories such as Chef of the Year and Manager of the Year to reflect similar areas of importance in leadership roles. “The RAMMYS have always been and continue to be a benchmark of success and a recognition of talent and hard work among our industry,” said RAMW President & CEO Kathy E. Hollinger. “This year’s changes reflect the effort of RAMW, its Executive Committee, and the RAMMYS judges panel, to be more cognizant of refining the program designed to celebrate excellence. The Awards categories, eligibility, judging criteria, and Awards Governance and Procedures can be found at www.therammys.org/awards-governance-procedures/. The RAMMY Awards Gala, produced by Restaurant Association Metropolitan Washington (RAMW), honors the exceptional ability and accomplishments of the hard-working individuals and organizations of the region’s restaurants and foodservice community. RAMW is currently accepting submissions in 20 awards categories, including potential considerations for this year’s Honorary Milestone RAMMY Award, recognizing restaurants in the region that have been open for 25 years or more. To nominate an outstanding operator or professional in the area’s restaurant industry, visit the RAMMYS nominations portal at www.therammys.org through midnight, the evening of January 31, 2019. Only RAMW members are eligible to become finalists. The selection process for nominees and winners involves two esteemed groups: the voting public and an anonymous panel of invited volunteer judges, consisting of food and dining journalists and foodservice industry educators. Finalists in 20 categories will be announced at The RAMMYS Nominations Announcement event in March. In addition to those eligible for online nominations, RAMW honors two additional members with the Joan Hisaoka Associate Member of the Year, presented to an allied member who best exemplifies commitment to and support of RAMW, and the Duke Zeibert Capital Achievement Award, given for dedication and leadership that has helped transform Washington’s restaurant scene into today’s vibrant restaurant industry. These awards are determined by RAMW’s Executive Committee. Remaking a children’s classic is hard. Building upon one as a sequel 50+ years later with an entirely new cast is harder. You want the film to stand on its own without distancing itself too far from the original. 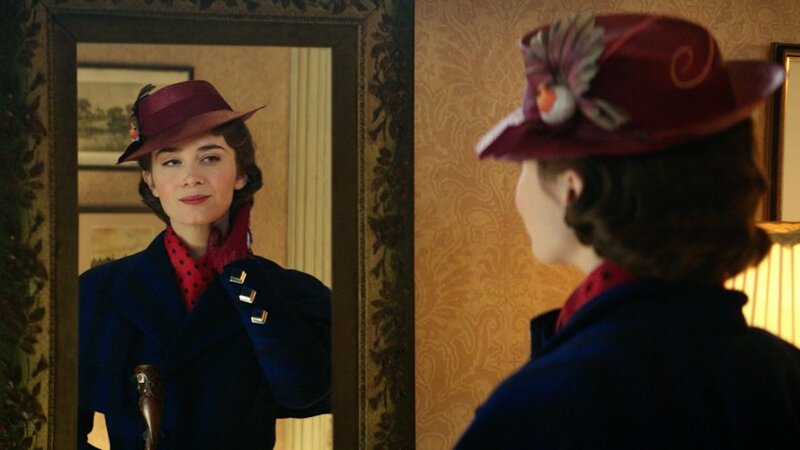 Mary Poppins: Returns handles this balance fairly well. Directed by Chicago’s Rob Marshall and produced to the nines by Disney, the film does the impossible; it almost lives up to the original. After 17 years, the highly anticipated Cameron Mackintosh’s dynamite Broadway revival of Boubil and Schӧnberg’s legendary musical MISS SAIGON– at the Washington, D.C. Kennedy Center Opera House– is a sensational, relevant conscientious musical you do not want to miss!